Boom Supersonic is working on the Overture airliner, a 55-seat aircraft that is touted to fly at speeds of up to mach 2.2 once completed. The project hopes to bring seat-mile costs similar to subsonic business class equivalents while traveling at much faster speeds, which Boom suggests could make it viable for hundreds of transoceanic routes. Completed on Friday, the $100 million funding round consisted of $56 million in new investment, reports Crunchbase, as well as "previously-announced strategic investments." The new capital was led by the Emerson Collective, along with Y Combinator's continuity fund, Japan Airlines, Caffeinated Capital, and a number of other investors, bringing the total amount raised by Boom to $141 million. It is unknown how much investment Emerson Collective specifically put into the project, but it is likely to be a sizable amount of the total. "This new funding allows us to advance work on Overture," said Boom Supersonic founder and CEO Blake Scholl. "Ultimately, our goal is to make high-speed flight affordable to all." "Our interest in boom is driven by its vision to enable greater human connection and more empathetic natural and cultural experience through ecologically conscientious design," advised Emerson Collective managing partner Andy Karsner in a press release. "Boom has the leadership, values, and potential to accelerate many advances - lightweight carbon composites and greener fuels - that will reduce the climate impacts of aviation." The Emerson Collective consists of an unusual mix of non- and for-profit initiatives, including advocating for eduction and immigration reform. The Collective also has other investments in media, including movie production company Anonymous Content and, as of 2017, a majority stake in The Atlantic. 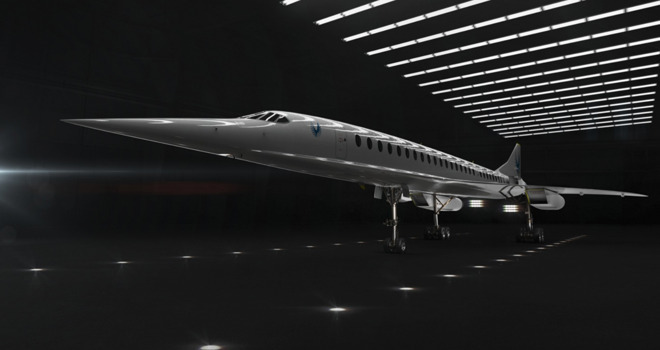 Will some of that $100M be to subsidize the losses that will come with supersonic transport? You can't make money on planes that size that need all the special gate equipment and excess fuel. It's a novelty, as was the Concorde which was used to reward the tier members as very few people paid the cash it cost to ride on the Concorde. Anything that brings a new plane to the market I'm a fan of, but the technology doesn't exist to make a profitable business plan using supersonic travel. There is zero chance they can get the CASM in line with subsonic travel at 55 seats on the plane and have a RASM >$0. Boom is a poor name choice for any aircraft company. "greener fuels" is a cop out unless they mean hydrogen. Supersonic jets burn way too much fuel and place their emissions higher in the atmosphere where thay can potentially do more damage. This is somebody's vanity project. Those were slower times, the Concorde era. The market outlook has improved for faster global transport. More people with wider connections with more money. The Concorde was just ahead of its time. The imperative with these things in the history of technology is that they will be done if they can be done. Example: landing and reusing first stage rocket boosters. As advanced as the Concorde was for its time, there have been huge advances in technology since then that have the potential to eliminate many of the problems that plagued running the Concorde program. Advances in fuel efficiency, materials, and modeling have gone a long way since then. I'm sure they have quite a few people that ran the math to hopefully make this program work. I'm excited for what possibilities will come from it, albeit I may never be able to ever afford a seat on that plane. This looks considerably smaller too, and only holds about half the people. Seems like a whole different scale of doing things. Yeah, with the advancements, it would be interesting to see how this goes. I'm curious about what the greener fuels are, though. Yeah, then again 100M for a project like this is a pretty small sum.